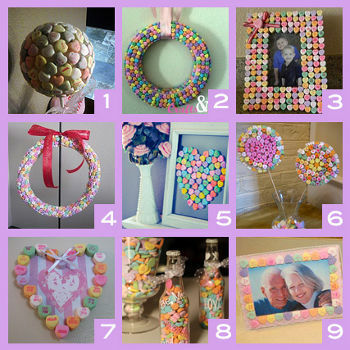 Craftgossip has a cool list of 9 different crafts you can make with conversation hearts. I never really cared for the taste of them, so maybe I should start making stuff with them instead! Valentine’s Day Post – How Much Is Inside Conversation Hearts?